I am Groot. After a three-year wait, Guardians of the Galaxy Vol. 2 returns to the theaters. Now sequels occasionally don’t fair so well when they follow-up a movie that was so good the first time around. I even have gone on record as saying that the expectations were that of Empire Strikes Back levels. In the film, the Guardian’s reputation has gone to that of legend. People even know about Star-Lord. This continues to raise the expectations as even the film seems to tell us that it knows what it needs to live up to. Volume 2 begins much as the first film did by giving us the back story to peak our interest. It steps into a fantastic musical ballet that is suited for a team that has grown together. Except for Groot; Groot is still a baby. 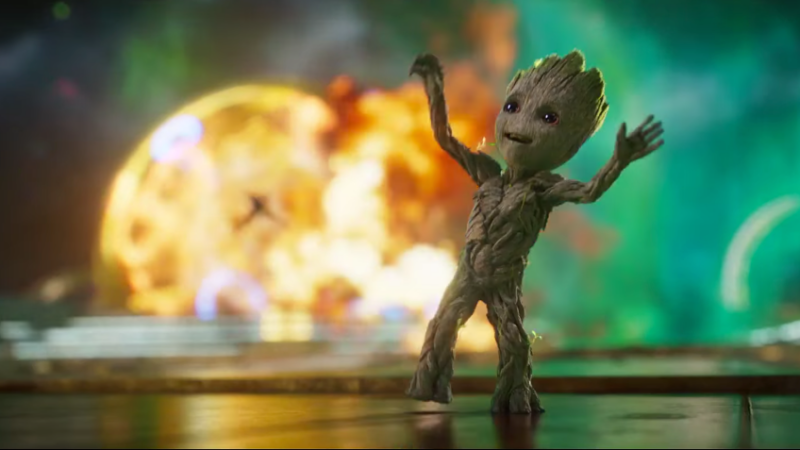 Baby Groot has his purpose and it’s worth every bit of digital screen time. The Guardians initial quest isn’t all that surprising, but things don’t really turn out as well as you would think. Rocket’s greed always tends to get the better of him and creates more problems than it’s all actually worth. 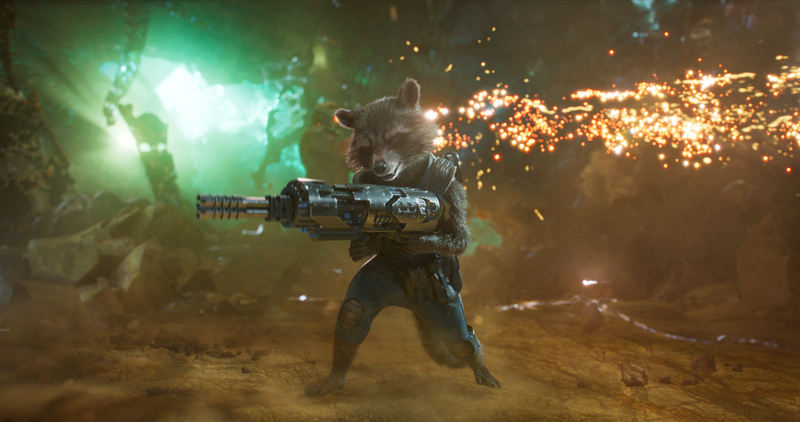 We do get a stand alone scene with Rocket defending himself from the Ravagers. We have as much fun witnessing Rocket’s cleverness as Rocket has causing havoc. The story right down to the core is all about family. It’s those ties that make us go to the extremes. Kurt Russell’s character Ego is to the core a “Marvel” character. 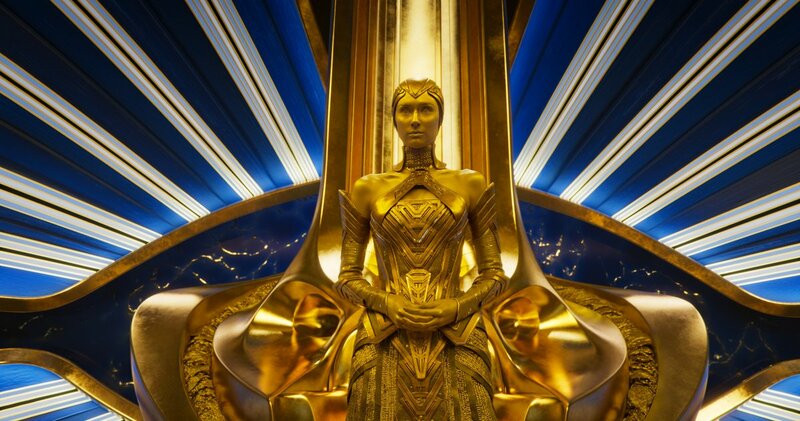 Aside for the obvious ties that James Gunn creates for his film, Ego’s depiction is perfection which is hard to translate such a vague character on film. The Guardians are a family that has its issue finding itself. It takes a much bigger threat to bring them together than the trailers let on. 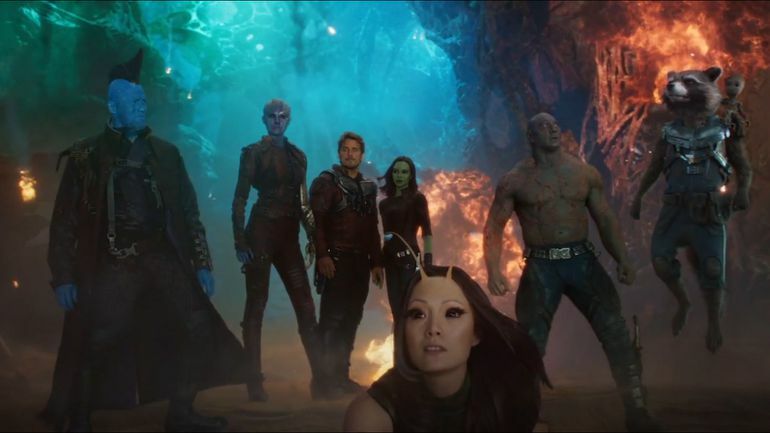 Drax, Gamora, and new character Mantis help bring out more of the humanity of the Star-Lord and the reason for him to be the central focus. Guardians of the Galaxy brings to screen so many more Marvel characters that it’s almost hard to keep track and count. The appearance of the original Guardians of the Galaxy was one of the biggest joys of the film for me. If you don’t know the original Guardians, look it up, it’s a whole new/old world. Stan Lee has his cameo which is expected, but it’s who he’s with is what make his appearance so much more fun. Like with every other Marvel film we get the end scenes that add to the story. It gives us more of the ragtag family that we grew to love in the first film. It gives us another bitchin’ soundtrack that you’re going to want to relisten to after the credits are done rolling. Everything that made the first film great is back, and better, in many instances for an exciting, hilarious ride. It’s not always easy to live up to a great first film, but Guardians of the Galaxy Vol. 2 manges to live up to those expectations and exceed them.